Tastes like ice cream. Mixes like a milkshake. It's the best of both worlds. We outdid ourselves, once again. 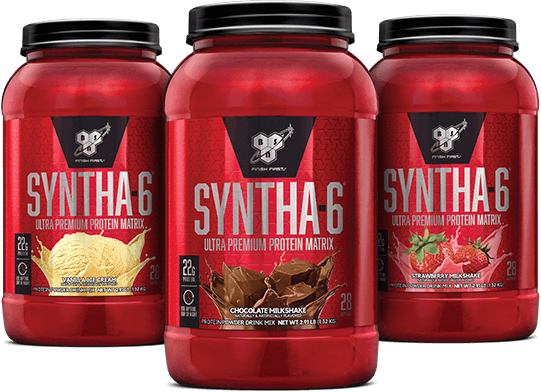 SYNTHA-6® is an ultra-premium protein powder with 22g protein per serving and the best tasting BSN protein on the market. SYNTHA-6 is the go-to protein for any nutrition or exercise regimen because it is designed to suit a variety of active lifestyles and diet plans. And with SYNTHA-6, the high standard of quality protein comes with taste to match, thanks to the BSN exclusive flavor technology. 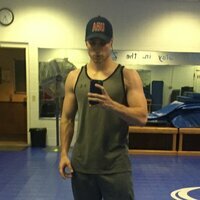 So I have tried a lot of different protein powders over the years. The only one I found that tasted better was the original Cytosport Monster Mass but they reformulated it and it now has more of that classic " tastes like a protein powder". To be fair, protein powders have come a long way from the chalky days and there are others that are okay. I look at it this way: everything else being equal, is this something I am going to look forward to drinking? At the end of the day what counts is consistently fueling your body and if you don't look forward to drinking your protein, just makes it a little harder to stay on track in the long run. I would not describe this flavor as Berry Berry Berry Good as it is overwhelmingly too sweet and doesn't taste anything like Berry. I tried this protein powder cause it had all the other different proteins in it. Peanut butter cookie tastes just like a real one. I love it will have to reorder this! Good taste and mixes well. Too sweet, And it's bad ..
Tastes great! Only thing that is a bit concerning is the amount of cholesterol in a scoop. Some better options out there without having to sacrifice heart health. 10 Cinnamon Bun - Exclusive! The Cinnamon Bun is delicious with almond milk. It smells and tastes like a blend of cinnamon and caramel! The best thing I’ve ever tasted! Cannot even believe there’s 22g in one scoop! Just seems like it’s a reg shake. I’ve never been this fan of a protein shake. Best tasting protein out there and and an EXCELlENT meal replacement shake. 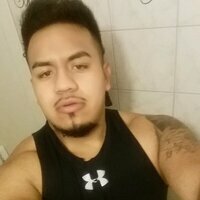 In response to the comment below calling this protein garbage because of the protein content he should probably do some more research. This is NOT a 100% whey product and should not be treated as such. 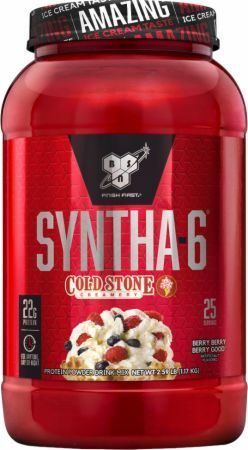 It is Syntha6 because it has 6 different types of protein that break down at different rates giving excellent absorbtion over a few hours as opposed to a straight whey product. Also has dietary fiber which helps you stay full and digest as well as good quality carbs and MCT fats to add nutrition. Every supplement is simply a tool, you just need to use it correctly so it can perform its job. Great chocolate flavor that mixes well in almond milk. Very smooth and tasty. The Candy Cane is so tasty! 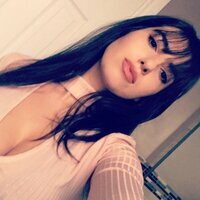 I ordered some more since it’s a limited time. This protein mixes very well, I can’t say enough good things about it. Not a significant source of trans fat, vitamin D and iron. Protein Matrix Comprised of (Whey Protein Concentrate, Whey Protein Isolate, Calcium Caseinate, Micellar Casein, Milk Protein Isolate, Egg Albumen, Glutamine Peptides), Polydextrose, Sunflower Creamer (Sunflower Oil, Corn Syrup Solids, Sodium Caseinate, Mono- and Diglycerides, Dipotassium Phosphate, Tricalcium Phosphate, Soy Lecithin, Tocopherols), Natural and Artificial Flavor, MCT Powder (Medium Chain Triglycerides, Nonfat Dry Milk, Disodium Phosphate, Silicon Dioxide), Lecithin, Cellulose Gum, Freeze Dried Blueberry Granules, Freeze Dried Strawberry Granules, Salt, Citric Acid, Sucralose, Acesulfame Potassium, Papain, Bromelain. CONTAINS: Egg, Milk, Soy, and Wheat. Take 1 scoop with 4-5 fl. oz. of cold water or any beverage of choice. To increase your protein intake per serving and achieve an even more amazing milkshake experience, use non-fat or low-fat milk.